The exact details aren’t completely clear at this stage, but the government has made it clear that it intends to ban tenant fees. 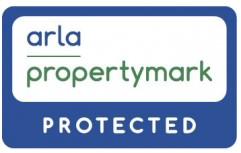 Following an online discussion with David Cox, Chief Executive of ARLA Propertymark, it seems likely that the ban will be introduced somewhere between October 2018 and January 2019. So how will this impact landlords across England and Wales? There are many benefits to tenants renting through a professional Letting Agent. They provide legal paperwork to protect the tenant’s rights, ensure the property is safe and complies with the law and provide general guidance throughout the tenancy. 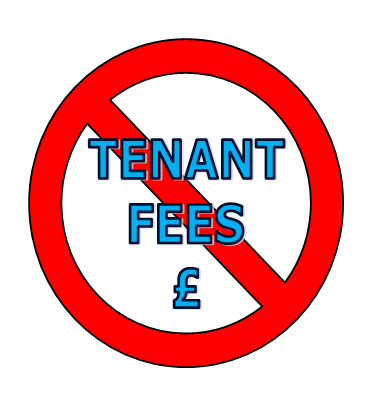 However, some tenants are happy to take the risk of renting privately to avoid paying an application fee. Once the ban on fees is introduced, there will be no advantage to renting privately anymore. Therefore, the private rental market will only be left with tenants who can’t pass Letting Agents stringent referencing checks, due to issues such as adverse credit or criminal records. We think the ban could be the end of the ‘Gumtree Landlord’. It is inevitable that Letting Agents will review their landlord fees once the ban is introduced, however some will be forced to increase their fees a lot more than others. For many years a lot of Letting Agents have been selling their service based solely on being the cheapest in the area, rather than offering the best service. These cheap landlord fees have then been subsidised by charging extortionate tenant application fees, a business model which has ultimately led to the current government review. Once the ban is introduced, we expect to see a lot of landlords reviewing their choice of managing agent. Assured Lettings hope to see a market that is driven by professionalism, expertise, trust, efficiency and reliability, rather than cheap fixed fees. The key drivers of getting value for money from your agent fees are the quality of tenant and the speed of let. Professional marketing, comprehensive referencing, thorough inventories and inspections all need paying for. Landlords should question any agents who still try to maintain a cheap fixed fee, as corners will have to be cut. Cheap fees are likely to be a false economy. As there is consistent tenant demand for rental property across England and Wales, we anticipate that landlords will increase their property rents to offset the higher agency fees. Tenant fees were banned in Scotland in 2012, and in the 12 months following the ban rents increased by an average of 4.2% compared with a 0.7% drop in England. We expect the ban to have a bigger impact on rents in England and Wales, as the tenant fees are generally a lot higher than they were in Scotland. If you would like to discuss this further or have a free review of your property portfolio, please get in touch on 01332 729584 or email office@assured-lettings.co.uk.